Semiconductor chip light, breakage-proof and shake-proof. The AC/DC adapter is NOT included in the package.Suitable for Christmas, weddings, Valentine's Day, party, pub, concert, fashion show, etc. 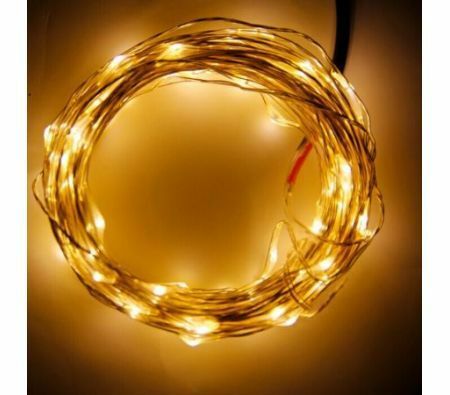 The product only including 1 * 10m 100-LED String Light Lamp NOT INCLUDING POWER ADAPTER. If you need, please click here HQB_AD01. Suitable for Christmas, weddings, Valentine's Day, party, pub, concert, fashion show, etc.